So often in life we may find this to be true: we hold on too tightly to things we were never meant to control. It’s hard sometimes, to let go. We struggle to change things. We strive hard to maintain order and keep all in line. But when problems mount high and pressures feel overwhelming, we begin to understand more fully how little control we really have. Maybe we look all different places for help, yet forget we can press in towards our Savior. Maybe we forget that He never changes, and He still holds the power to heal and set free. Maybe we don’t believe that He can, or wants to, work on our behalf. Maybe we forget at times, that He’s still the God of miracles, that He can act “immediately,” that He can do in a moment what might take years for us to work through on our own. Let’s set aside our fears and move towards Him today, in faith. Let’s press in close, and reach out to the One who is All-powerful, compassionate, loving, and kind. He knows already, the wounds and troubles we’ve carried, He knows the pain and worries we’ve felt, He knows how much we’ve tried to let go, and fix things in our own power. Let’s choose to believe that our situation or circumstance is never too big for Him to bring healing and freedom. He is Able. Nothing is too difficult for Him. He is always within reach. He is never far away. Walk in His freedom and healing. 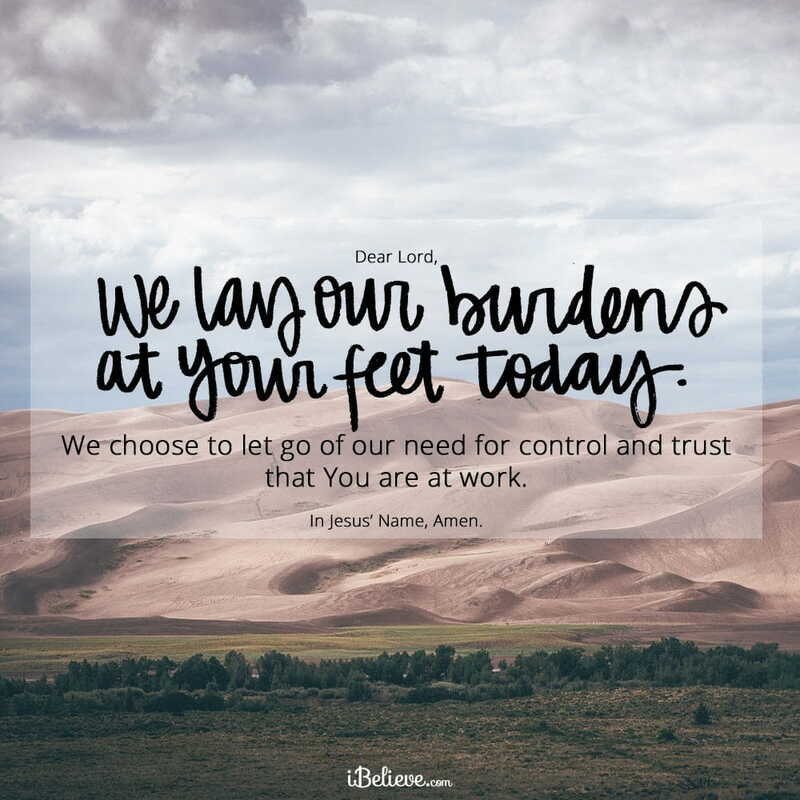 We confess our need for you today. We need your healing and your grace. We need hope restored. We need to be reminded that you work on behalf of those you love, constantly, powerfully, completely. Forgive us for trying to fix our situations all on our own. Forgive us for running all different directions and spinning our wheels to find help, when true help and healing must be found first in You. Forgive us for forgetting how much we need you, above everyone and everything else. We come to you and bring you the places we are hurting. You see where no one else is able to fully see or understand. You know the pain we’ve carried. The burdens. The cares. You know where we need to be set free. We ask for your healing and grace to cover every broken place. Every wound. Every heartache. Thank you that you are Able to do far more than we could ever imagine. Thank you for your Mighty Power that acts on behalf of your children. We reach out to you, and know that you are restoring and redeeming every place of difficulty, every battle, for your greater glory. Thank you that you will never waste our pain and suffering. We release to you this day every need and problem we’ve carried or tried hard to control. We believe in your goodness to see us through. We love you. We need you today.